Nine Quick Tips to Identify Clutter | zen habits. Lately, I’ve been on a clutter-clearing frenzy. For me, as for most people, outer order contributes to inner calm, and sweeping away a bunch of unloved, unused stuff has given me a huge happiness boost. As I sifted through our possessions, I identified nine questions to ask myself when I was confronted with a questionable object. This list helped me decide what to keep and what to toss, recycle, or give away. We are recovering addicts who meet regularly to help each other to stay clean. There are no dues or fees. The only requirement for membership is the desire to stop using. National Health Service authorities that offer alcoholics controlled drinking treatments relying on medication rather than total abstinence could face legal action from a patients’ organisation. UK Advocates, a pressure group campaigning for the wider availability of rehabilitation courses for addicts, is preparing to file claims against the Department of Health and local health services. The charity maintains it has found evidence of thousands of patients with severe alcohol problems being given "psycho-active drugs" while they are still drinking. The combination, it is alleged, can be "potentially lethal" and is at odds with the manufacturer’s prescription advice and guidelines. "In many cases," UK Advocates claims, "drugs and controlled drinking programmes are administered to sufferers without the doctor or clinicians involved having performed effective liver function tests to establish the extent of liver damage from excessive drinking. "Treating alcoholics with drugs and on a basis of ‘moderation’ is similar to advising someone with lung cancer to cut down their smoking," says Bob Beckett, founder of UK Advocates. "Controlled drinking programmes … hark back to the 1960s and 70s when we believed pharmaceuticals would cure everything, including addiction to alcohol. They simply have not worked. Some college women may drink excessively to gain the attention of men, but new research from Loyola Marymount University suggests that drunk women are not as attractive to men as women believe. 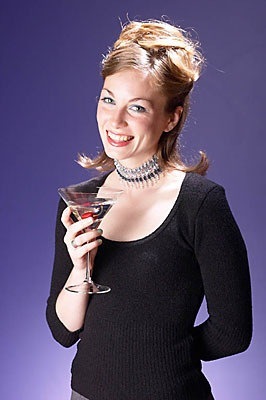 Science Daily reported March 11 that the majority (71 percent) of women surveyed overestimated — by an average of one-and-a-half drinks — the number of alcohol beverages men wanted their female friends, dates, or girlfriends to drink. Researchers surveyed 3,616 college students (ages 18-25) at Loyola Marymount University and the University of Washington, and asked women questions about their perceptions of what college men want women to drink, as well as the relationship between drinking and sexual attraction. The researchers then compared the women’s answers with men’s actual preferences. Women who overestimated men’s preferences were more likely to drink excessively, according to the study. "There is a great, and risky, disconnect here between the sexes," said lead researcher Joseph LaBrie, who teaches at Loyola Marymount. "While not all women may be drinking simply to get a guy’s attention, this may help explain why more women are drinking at dangerous levels." The results were published in the March 2009 journal Psychology of Addictive Behaviors. If you have healthcare training this manual may help.